Admittedly, it’s mildly disappointing that the Ford GT to roll off the production line isn’t finished in Liquid Blue. Still, get over the color (it’s Shadow Black with orange stripes) and it’s an indisputable fact that someone’s going to have a 600 horsepower sleigh very soon. 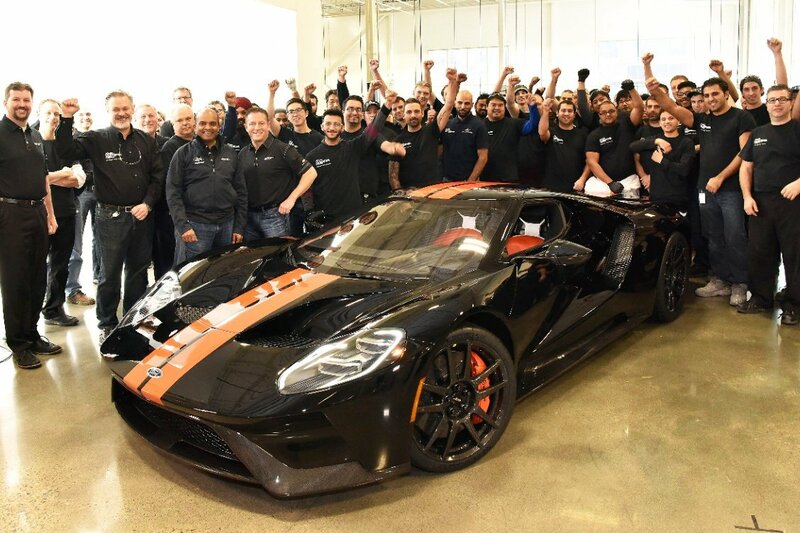 Produced at Ford’s new low-volume assembly facility at Multimatic in Markham, Ontario (that’s in Canada), Raj Nair, who carries the snappy title of: executive vice president, global product development, and chief technical officer, did one cool thing: he drove the very first Ford GT off the production line. 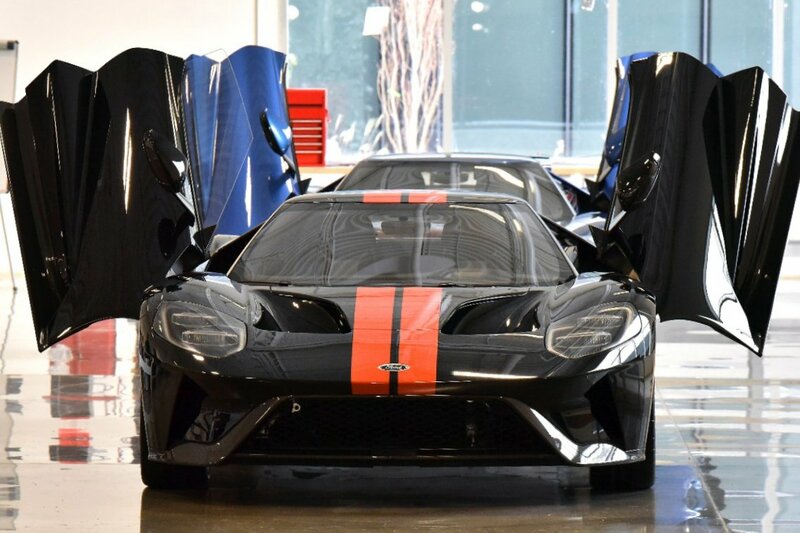 Ford has every reason to be proud of the all-new GT. It’s a technical tour-de-force, packing a monocoque body structure made of carbon fiber with a twin-turbocharged 3.5-liter V6 mounted in the middle. The lightweight supercar produces more than 600 horsepower to the rear wheels via a 7-speed dual clutch automatic. It’s also got a legitimate racing pedigree when it won its class at the 24 Hours of Le Mans this year, echoing the GT40’s historic 1-2-3 finish in 1966. Ford initially said that production of the Ford GT will be limited to just 500 units worldwide. But due to the huge demand, the company is extending the production by another two years. 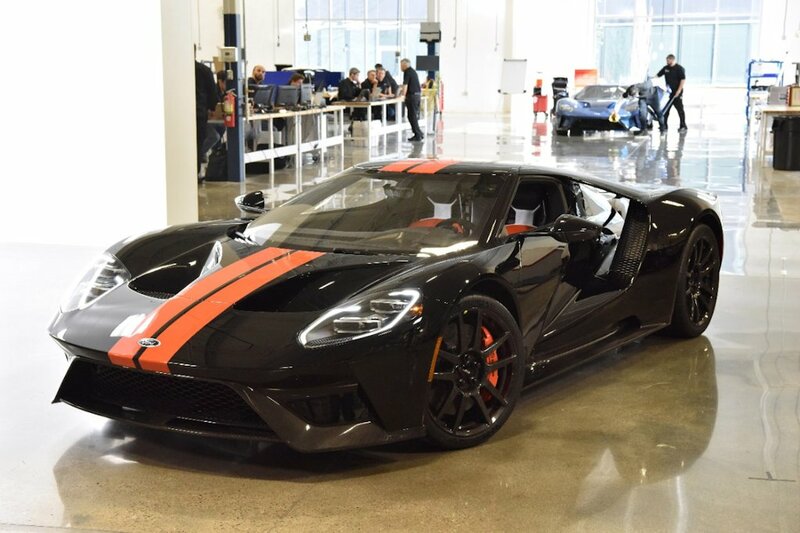 Ford is said to produce only 250 units of the Ford GT annually. The Honda BR-V is Here!